Today, we’re looking at the different styles of Mr. Gasket hose available, and when to choose one over the other for your project. Offered in black nylon braided, stainless steel braided, and synthetic rubber push-on, each has its distinct advantages and applications. All are high-quality hoses, and are readily-available solutions for your off-season projects or maintenance that won’t break the bank. A good rule of thumb when choosing the hose for your particular project is to first make sure to select one with the correct pressure and fluid compatibility, then choose based on appearance and price. 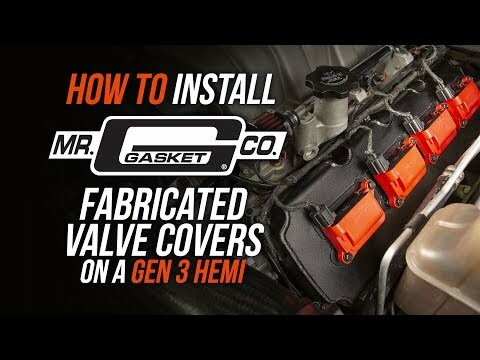 With that in mind, let's get a look at the different styles available at Mr. Gasket.com, and take some of the guesswork out of your plumbing project. Mr. Gasket’s black nylon braided hose has a special inner liner which makes it more resistant to fuels than most synthetic rubber AN hoses, and it's lighter than traditional stainless braided hose. It is designed for use with Mr. Gasket and swivel-style hose ends, and is available in six AN, eight AN, ten AN and twelve AN sizes. It comes packaged in three-foot, six-foot, ten foot or twenty-foot lengths, and can handle a maximum of three hundred and fifty PSI. 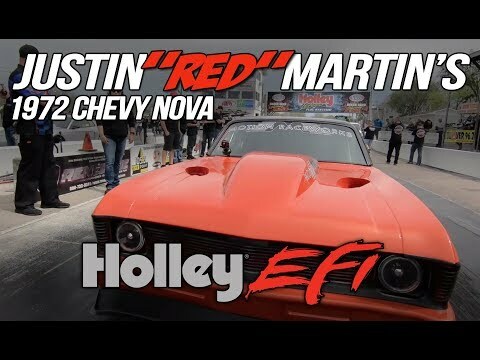 It can be used with automatic transmission fluid, coolant, diesel, E85, pump or race gas and oil, too, and has a temperature range of minus 40 degrees to three hundred and two degrees Fahrenheit. The classic black nylon braided outer looks clean in any install, and matches most other brands of plumbing as well. And when it comes to installation, it’s easy to cut and won’t scratch or mar painted or polished surfaces that it may come into contact with. Mr. Gasket’s stainless steel braided hose has all of the benefits of our black nylon braided hose, but with a tough stainless steel outer liner. While weighing a bit more than braided nylon, a stainless steel outer will take a little more abuse in the event of chafing or when subjected to higher heat, and has been proven tough and reliable for years in the harshest of racing environments. Also available in six AN, eight AN, ten AN and twelve AN sizes, it too comes packaged in three-, six-, ten- and twenty-foot lengths, and has a maximum working pressure of three hundred and fifty PSI. Mr. Gasket’s stainless steel braided AN hose is recommended for use with coolant, automatic transmission fluid, diesel and race gas, and has a temperature range of minus 40 degrees to three hundred and two degrees Fahrenheit. Mr. Gasket’s black push-on hose is manufactured from synthetic rubber with a reinforced fiber braid. This hose is a great choice if you’re finishing up a an engine swap in your driver, or performing some Winter maintenance. 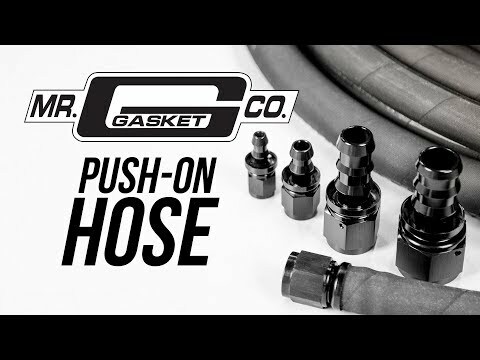 While it has a lower working PSI than Mr. Gasket’s black nylon or stainless steel braided hose, the push-on hose offers the advantage of being easy to install using Mr. Gasket or push-on hose ends. The textured surface offers great grip, even if your hands happen to come into contact with the assembly lube. Offered in four, six, eight, ten and twelve AN sizes, it also comes in three-foot, six-foot, ten foot or twenty-foot lengths. Mr. Gasket push-on hose is recommended for use with automatic transmission fluid, coolant and oil. The working temperature range is minus forty degrees to two hundred and fifty degrees fahrenheit, with a maximum working pressure of 250 PSI. Knowing what hose to use for your project is a great first step in making things go smoothly, and ensure reliability. 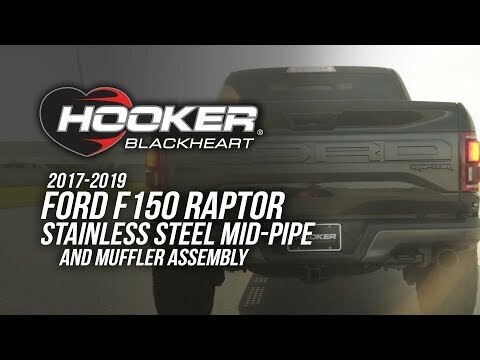 Be sure to use the recommended fittings, assembly lube and tools for your selected hose. You can find that and more information on Mr. Gasket black nylon braided, stainless steel braided or push-on hose by visiting MrGasket.com.